The largest science and engineering festival in the world is here once again! 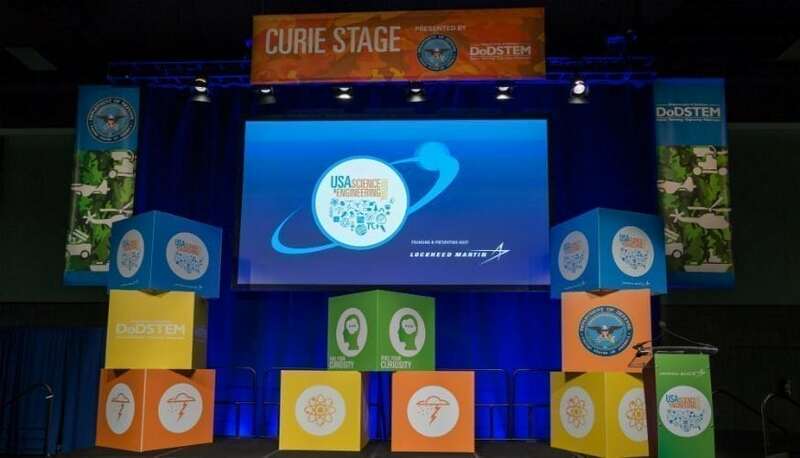 The USA Science & Engineering Festival (USASEF) is back for their fifth Festival Expo, presented by Lockheed Martin, and it looks to be the best event yet. Taking place at the Walter E. Washington Convention Center in Washington, D.C., 2018’s USASEF event looks to feature no shortage of fun things to do, inspiring speakers to see, and interesting booths to check out. The free two-day event clearly has quite a following, as there will be an expected 350,000 celebrators of STEM in attendance. You’re going to want to make sure you’re properly prepared for the large event (which will span across approximately 2 million square feet), as there is a ton to do in only so much time. Let’s break down all the amazing things happening at USASEF this year. If you’re looking for evidence that STEM education is on the rise, look no further than the X-STEM Symposium. Taking place on April 5th to kick off the Festival, X-STEM is an inspiring celebration of the journey STEM education can lead you on. The event, which is presented by NCR and PwC, features such established speakers as Astrophysicist Dr. Natalie Batalha, Science TV Host and Astronautics Expert Emily Callandrelli, and Neuro-biologist Dr. Erich Jarvis, providing a diverse array of inspiring words. An established television host, rising marine biologist, ocean advocate, and science communicator, Danni Washington is the perfect person to represent at this year’s Festival. Washington, who is also the co-founder of the non-profit organization Big Blue & You, may be best known for her role as the host of Xploration Nature Knows Best. The program, which is available on both traditional television and streaming services, celebrates STEM education and scientific advancements in a fun and approachable way, especially thanks to the show’s talented host. Make sure to check out Washington on stage to learn from a true STEM success story and stay tuned as she will take viewers on a behind-the-scenes tour of the Expo and will interview key Festival performers on social media. There will also be some amazing programs such as “Meet The Scientist & Engineer” in the Career Pavilion, which is the ideal place to get answers about STEM-related questions and learn about careers in the field. Additionally, stimulating stage shows like “Explosive Science” with Dr. Kate Biberdorf, World Champion of Magic Jason Latimer, NASA Astronauts, and “America’s Science Teacher” Steve Spangler look to amaze and inspire attendees. With a total number of 3,000 exhibits and exhibitors present at the event, you can definitely expect to experience some unforgettable moments. Lockheed Martin’s “This Science Isn’t Fiction” Pavilion looks to be an inspirational experience for the STEM leaders of the future. The Chevron STEM Zone will also combine sports and science in order to discover the STEM side of athletics. For an out-of-this-world experience, you can check out the Space Pavilion featuring NASA, CASIS, and Space X.
Additionally, Danni Washington’s non-profit organization Big Blue & You will be located in the Festival’s brand new Ocean Pavilion. Stanley Black & Decker’s “MakerFest” and Steer Digital’s “STEM Can Take You To Virtual Reality” booths also look to provide attendees with constructive fun. And definitely make sure not to miss out on the National Institutes of Health booth, the National Science Foundation booth, and the DoD STEM & National Security booth. With so much to experience, this year’s theme of “Stem Can Take You Anywhere” rings true. Previous article Can Surfboard-Riding AI Microscopes Save Our Oceans?